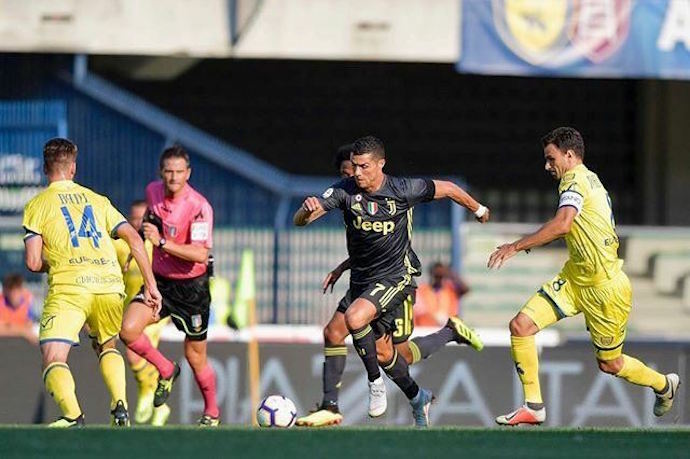 Serie A is back at the centre of attention this season, and some have said this is due to the fact Italian football has moved on from the traditional, boring ‘catenaccio’. Is this true? This aspect of modern day football needs further analysis. What is boring in football? Is catenaccio actually boring? Is defensive football boring? Is defensive football always catenaccio? Is Serie A so far from boring catenaccio? 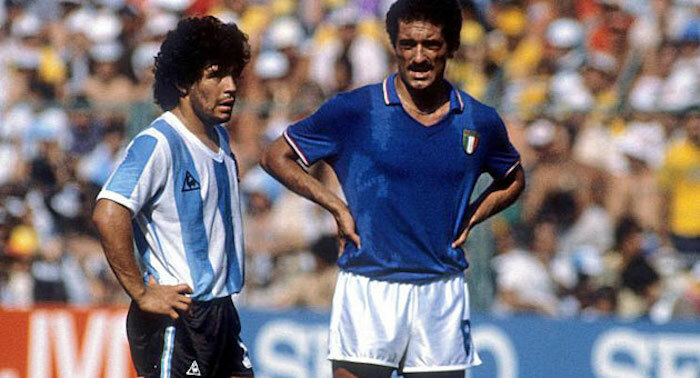 Is the world actually more interested in Serie A today than it was 20-30-40 years ago? There are many questions which need answered. Scoring a goal more than the opponent, or conceding one less. This is the dilemma. ‘To be or not to be’, translated into footballing terms. It’s one of those questions you grow up with as a fanatic of the beautiful game. When my grandad spoke about the Brazil of 1970 that always played to score more than the opponent, or about Italy in 1982, with a perfect defence. It’s a dilemma that has always been around, but with football entering the sphere of spectacle, of showbiz, rather than pure sport, it is now becoming a game changing debate. Do people want games to end 0-0, or would they rather see many goals? The feeling is, in the televised era of football reaching unimaginable levels, people want to see goals. Fans want victories for their own clubs, sure, but in the money business, it’s the neutrals that have to enjoy games. And most neutrals aren’t fanatics of football, in an intellectual sense. They don’t care about how good a full back is at tracking back, how the transition in defence works, how positional play can demolish old fashioned systems. They want goals. Lots and lots of goals. I tend to be fully with Allegri on this one. Winning is the ultimate joy in football. And football is great because it is one of the sports with the most variables, the sport in which scrappy wins, undeserved last minute goals can happen. And they are a lot of fun. Playing attacking football, trying to score more than defending, can be more entertaining in terms of what happens up front, but masterclass defending can be just as exciting. At least for a footballing nerd, or for someone who’s lived that on the pitch, even at very low level. 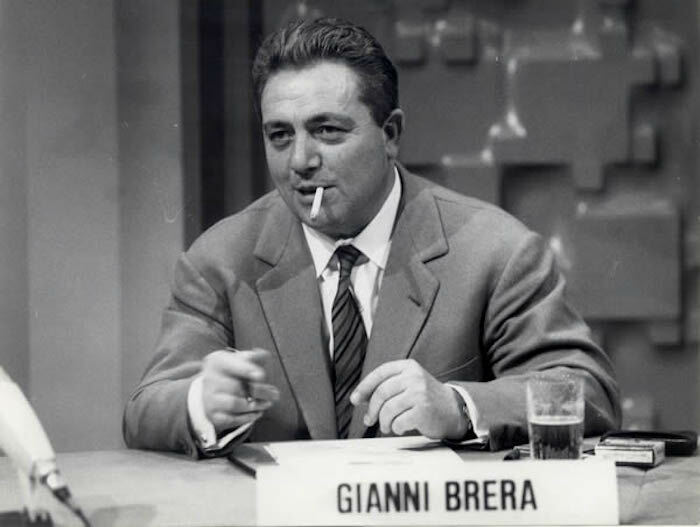 The greatest Italian football journalist, Gianni Brera used to say the perfect game ended 0-0. No one made mistakes on either side. And uncertainty would last until the very end. Defending well, is an art. Just as difficult and complicated as attacking well and consistently. The last World Cup final saw many goals scored, but was over after 65 minutes. I personally much preferred the 2010 and 2014 matches, which were uncertain until the very end. Though I understand many would disagree with that. There were goals, and that’s all that matters for the TV footballing world. One view of football isn’t necessarily better than the other, but both should be appreciated for what they give to the game and to the viewer. Now on to ‘catenaccio’. Is it actually that defensive? It is based on counter attack, and if you ask Helenio Herrera – the man that took Inter to European Cup glory in the 60s – and his men, it was attacking as much as defending. Find the space behind the opponents, get in there, score goals, win games. Which ultimately is what matters. Catenaccio, if well done, can produce constant counter attacks, and exciting football, even for modern ‘goal-diggers’. So, in a nutshell, many teams still use catenaccio. Wait for your opponent, kill them when they are all in your half. It’s an art. Think of Belgium’s goals against Brazil at the 2018 World Cup. Magnificent defending, phenomenal counterattacking. Goals. Victory. 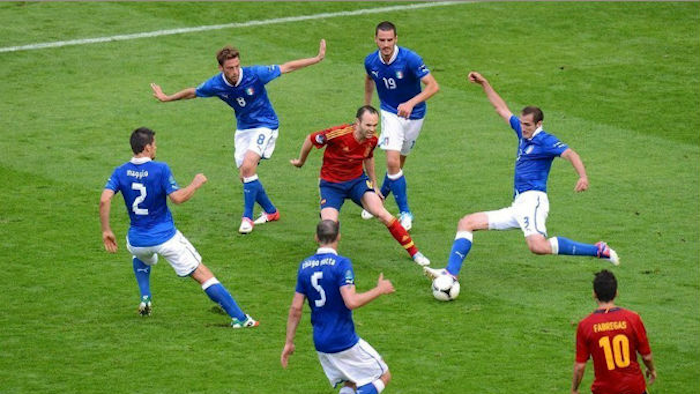 Catenaccio. Is Serie A far from boring, defensive catenaccio? Not at all. Firstly, hopefully by now some of you are convinced that catenaccio isn’t boring. Secondly, many teams like to wait for the opponent, concentrate on defending (and concentrating for 90 minutes in defence is a real challenge) and then try and score on the counter. It is usually the smaller sides against the bigger ones, but not only that. Think of Juventus at Napoli away in the 2017/18 season – a win for the Bianconeri – think of Lazio’s current style, think of Inter in 2010 – Treble winners. This doesn’t mean there aren’t other styles of football in Serie A. Juventus can play in a number of different ways. Napoli when under Maurizio Sarri, after Rafa Benitez, developed positional play, passing football and certainly a very entertaining style. Atalanta man mark, outrun the opponent, put strength and mathematical movements under Gian Piero Gasperini. Eusebio Di Francesco’s Roma reached the semi-finals of the Champions League with care at the back as much as flair up front. There is a bit of everything in Serie A, like in most leagues. There is no ‘catenaccio is over’ vs the new entertaining ‘Calcio’. Serie A has always been pretty entertaining on the pitch, if you enjoy Italian football. The only problem these days is that there is only one team winning the title, because they are much better than the others, and have been for seven seasons. It lacks balance, which ultimately kills the spectacle. If you know the winner, you’re less likely to enjoy a football game or a league. But in terms of style of play, it is not very different to 10 or 20 years ago. Of course, English football is different to Italian, to Spanish, to German, and so on. Different styles, preferences, traditions. Yet, in the 1980s and 1990s Serie A was the go to league in the world. 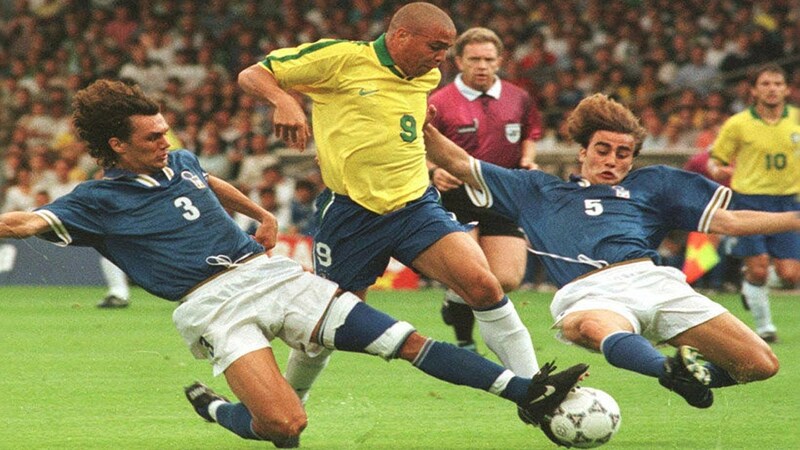 All the best players were there, from Diego Maradona to Ronaldo. So to believe Serie A is more watched now than it was before, is probably wrong. If anything, more people enjoyed Serie A when ‘catenaccio’ was more common. The emergence of the Premier League on the one hand – with English as the most spoken language on Earth, really well done marketing and television, and a great number of other reasons which need a whole book to be explained with -, and Barcelona and Real Madrid keeping up La Liga, Serie A has been left behind in the past decade, in terms of average level of football, quality of players and most of all perception abroad. And it takes time to catch up. But Serie A is entertaining to watch, and has always been. It mixes various styles of football, and all can be exciting. It has great players and coaches, tradition and rivalries. There are plenty – and I mean, plenty – of things that need improvement, from the stadia to the handling of TV rights, from regular scandals to clubs facing bankruptcy, but the style of football is definitely not one of them. It’s not about ‘catenaccio’ and moving away from it. It’s about uncertainty and balance, about watching every aspect of football. That is the excitement. Enjoying attack, and defence. They are both equal components of this sport. Yes, goals are fun, but they should not become the only necessary element. It would kill football as we know it. If you want a spectacle, there’s always the circus.